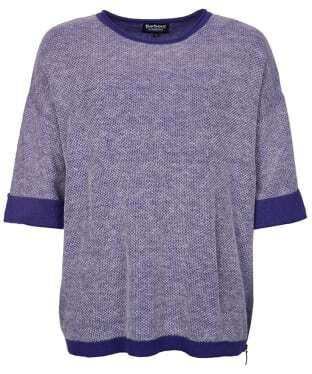 Explore your individual style and discover unmissable discounts too with the broad catalogue items within our women's tops sale. 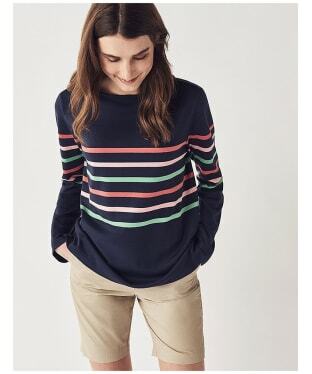 Featuring an array of covetable designers from Barbour, American Vintage, French Connection, Crew Clothing and Joules - we're excited to showcase some of the finest designers and their inimitable style...whilst offering you incredible savings. 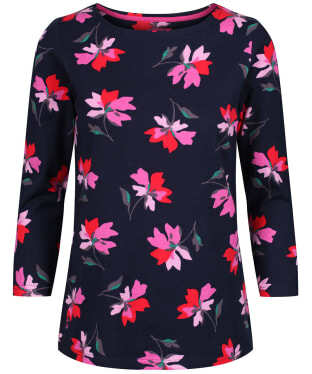 Create an effortless look with our bevy of items, from the everyday wardrobe staple to the sophisticated evening design...we boast a plethora of garments to mix and match with our core collection for trend-led ensembles that have been crafted to the highest quality. 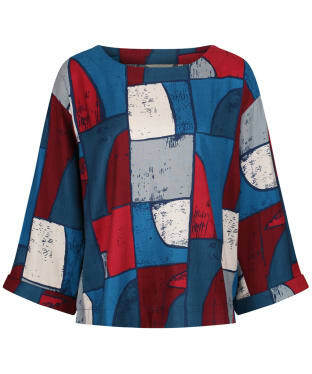 The latest prints and patterns adorn fabrics for an up to date collection, playing with an incredible colour palette that will cater for any need or occasion...short sleeves or long, round neck, v neck or crew neck, pocket detail, over sized or fitted - the choice is endless. 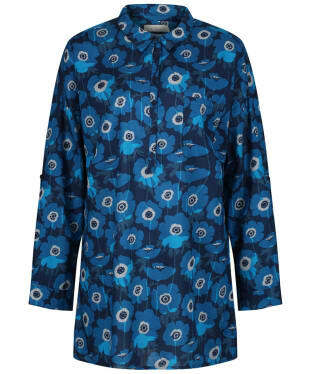 Discover the bevy of items on offer now and create a whole new look, for less. 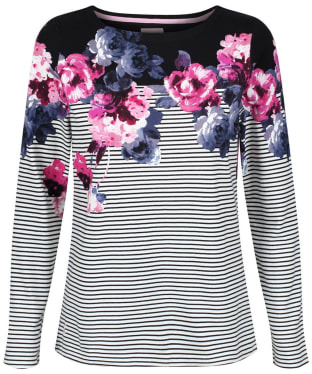 A wardrobe essential for any stylish lady, the Women's Joules Harbour Printed Top is a favourite of ours season after season. 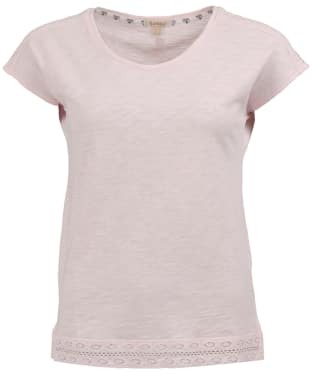 Crafted from 100% cotton, this lovely top will keep you comfortable all day long and boasts a simple round neck design with a curved hem for a feminine feel. 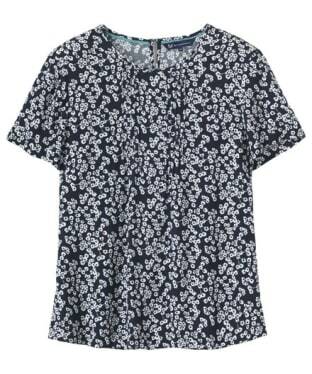 Easy to wear and versatile, these pretty tops are finished with a stylish bespoke to Joules print that we know you will love. 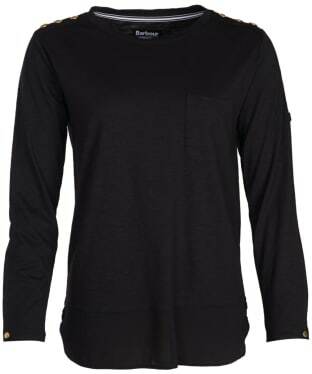 The Women's Barbour Globe Top is a super soft long sleeve top that you are sure to love. 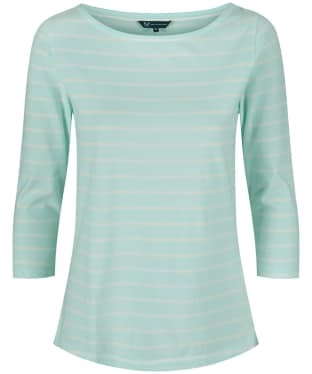 Crafted from a lyocell and cotton blend, the top has a comfortable feel which is suitable for all day wear and includes buttoned cuffs for that extra touch of style. 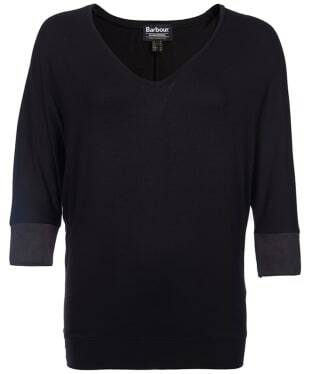 The oval Barbour ID bar at the rear neck adds that final stamp of quality and authenticity, and this will look great paired with jeans and boots to help you achieve that timeless fashion forward look with ease. 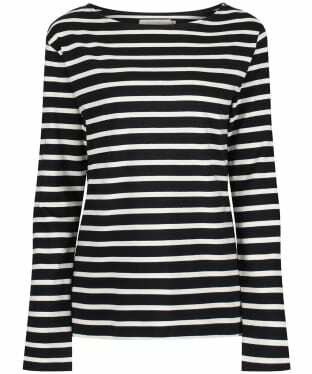 A timeless design that we know you will love, the Women's Crew Clothing Ultimate Breton Top is sure to complete your stylish look with ease. 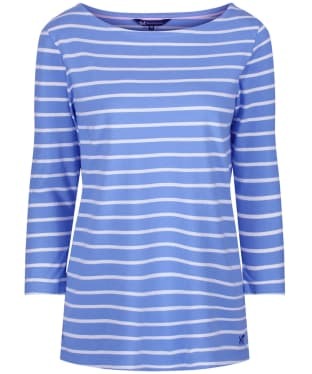 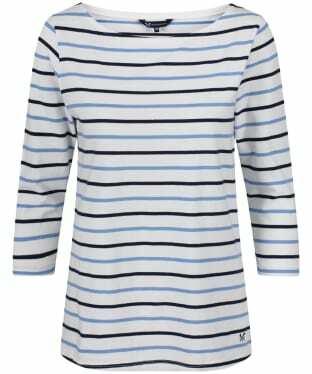 Boasting a nautical inspired striped design that reflects the heritage of Crew Clothing, this classic top is finished with a flattering boat neckline to keep you looking on-trend through this season and beyond. 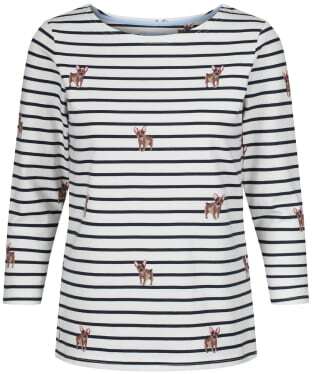 The Women's Joules Harbour Print Jersey Top is an ever popular style that is sure to keep you on-trend through this season and beyond! 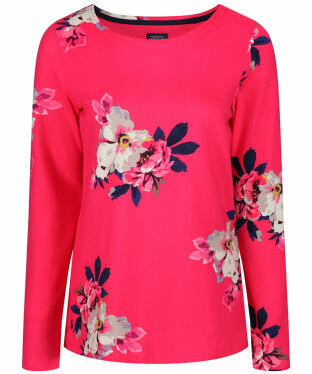 With a classic crew neck and curved hem, this easy to wear top features a beautiful hand drawn bespoke joules print for that added splash of colour, sure to brighten up any outfit. 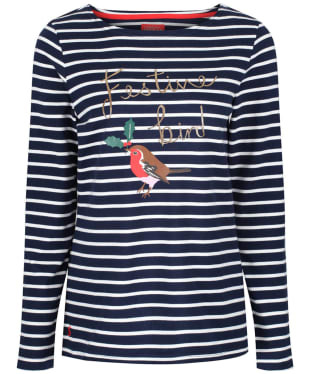 Finished with signature Joules branding for that stylish, quality feel, pair the top with your favourite Joules jeans for a fashion forward, casual look. 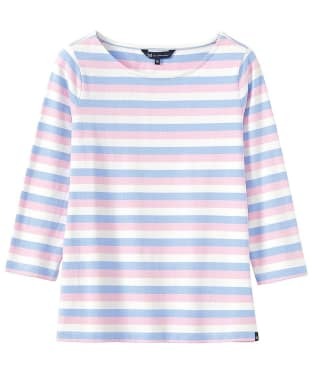 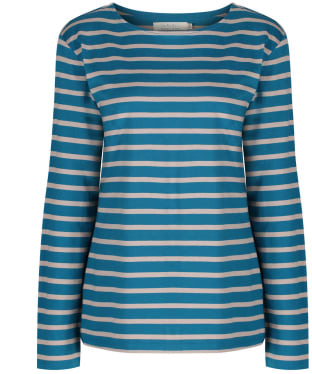 The Women's Barbour Hemsby Top is created in stretch-cotton jersey and features a coastal-inspired stripe overlaid with the exclusive Beacon Spot print to the upper body and sleeves. 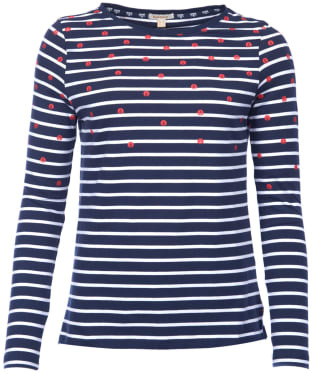 This iconic emblem is inspired by the lighthouse that stands at the mouth of the River Tyne in South Shields, and has long been synonymous with Barbour's maritime heritage. 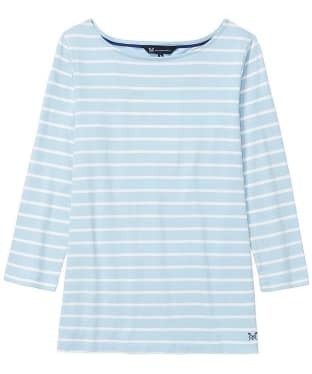 The women's Barbour Monteviot Top is ideal for completing your casual look with stylish ease, crafted from a soft touch jersey to offer you added comfort and wearability. 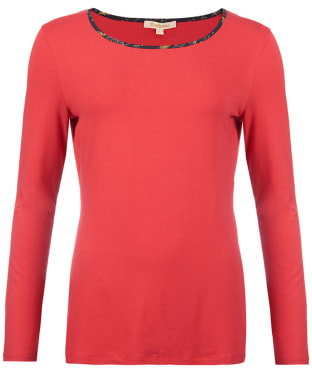 For an added touch of stylish detail the Barbour Monteviot Top has been finished with keyhole detail to the back neck and piping detail to the neckline. 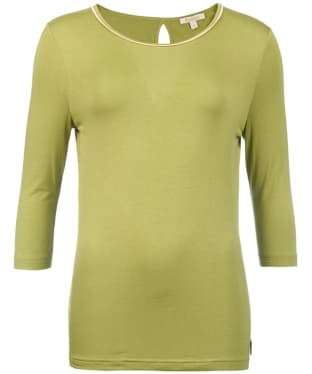 Perfect for the weekend, the Barbour Siskin Top is crafted from a soft mix of cotton and elastane to ensure a neat and comfortable fit. 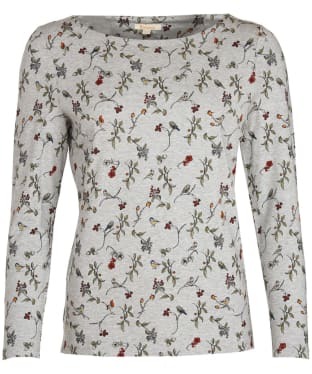 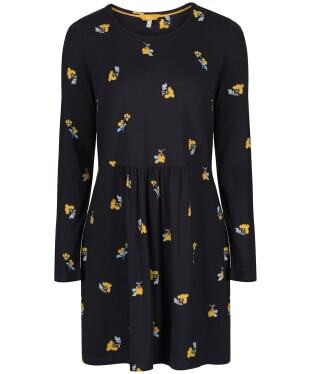 The Barbour Siskin Top features a fun yet stylish all over country bird print, with an elegant boat neck which is flattering on all shapes on sizes. 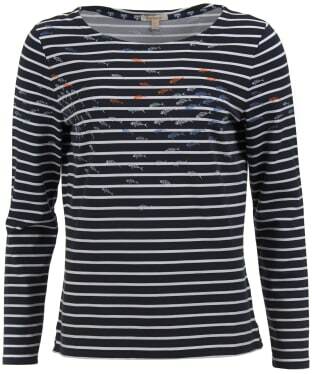 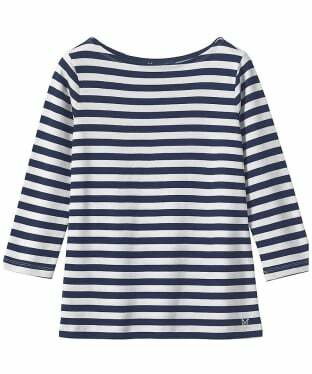 A firm favourite that you are sure to love, the Women's Crew Clothing Essential Breton Top has a striped design for that nautical feel, reflecting Crew's Coastal heritage. 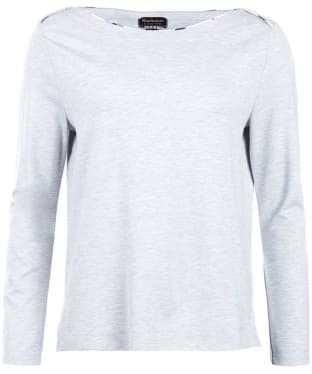 Super easy to wear with your favourite jeans, this timeless top has been crafted from super soft 100% cotton, keeping you comfortable all day long. 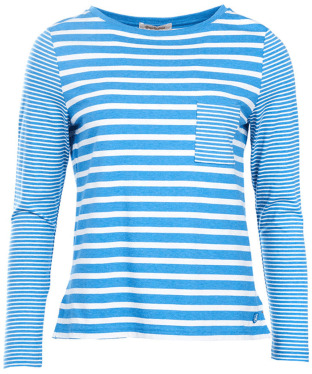 The Women's Barbour Wester Top features solid colours with a striped pocket for added convenience and that touch of stylish detailing. 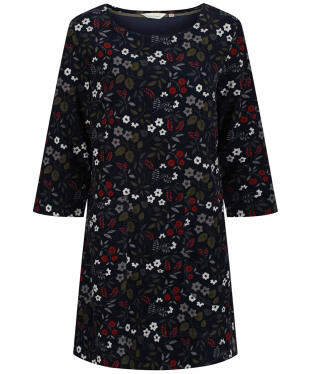 Perfect for layering under your favourite Barbour jacket, the top has full length sleeves to keep you cosy on those chilly days, as well as a wide neckline and curved hem for an on-trend feel. 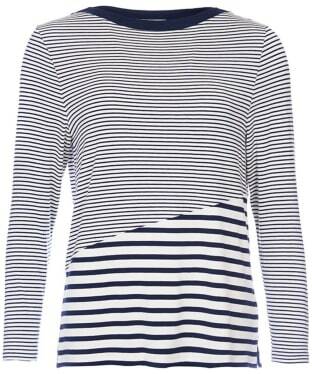 Finished with side vents trimmed in a contrast colour, you are sure to love the versatile feel of this fashion forward piece. 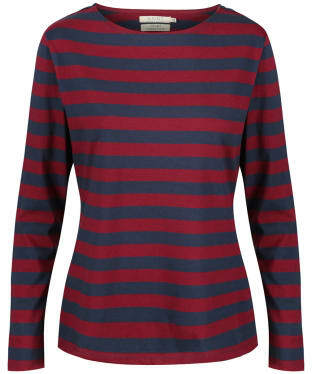 The women's Barbour Parceval top is ideal for completing your casual look with ease, carrying you through this season and beyond with stylish ease. 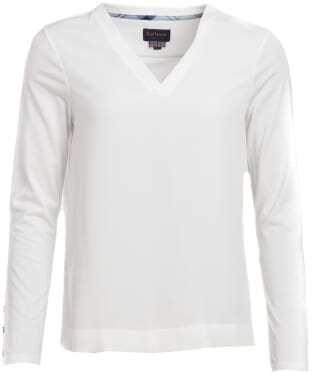 The long sleeve design is ideal for those cooler days, while the scoop neckline design keeps your look casual. 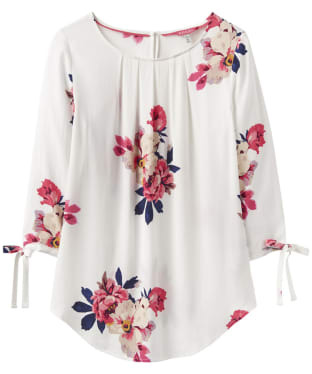 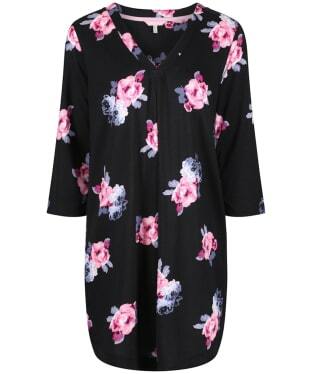 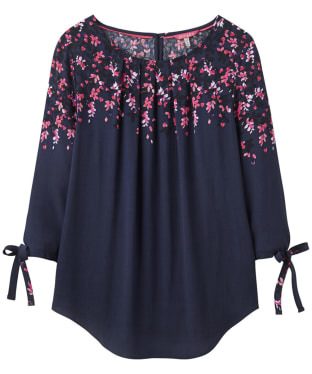 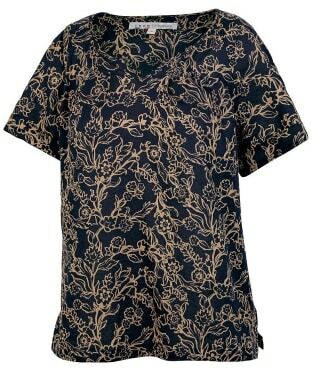 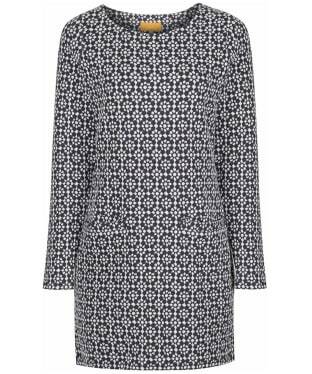 For an added touch of style and wearability this top has been finished with the floral bloom print to the neckline and cuffs. 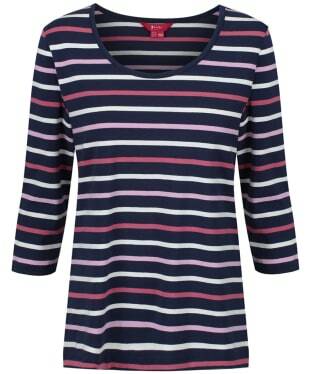 Perfect for casual days, the Dubarry Portumna Top features an easy-to-wear horizontal stripe design which is flattering on all shapes and sizes. 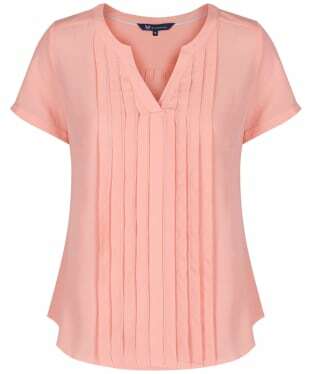 The v-neckline makes this top great for layering, and offers a beautiful shape around the chest. 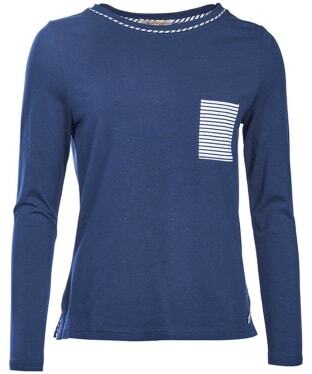 Full length sleeves offer extra coverage for cooler days, and the body seams ensure a neat fit. 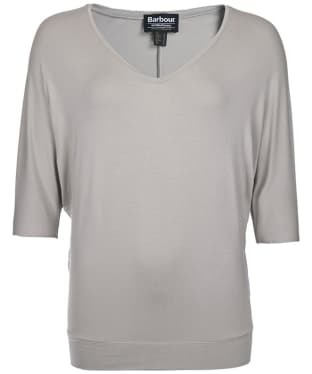 This Dubarry top is crafted from a soft and luxurious modal blend which offers a flattering drape around the figure and will wash and wear beautifully even after repeated machine washing. 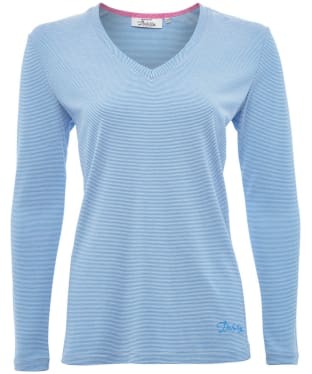 The Women's Barbour Lagoons Top is ideal for those casual days this season and beyond, crafted from a viscose blend for an added touch of comfort and wearability. 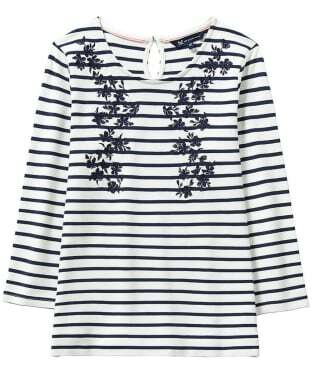 The wide boat gives you a flattering and feminine fit you are sure to love. 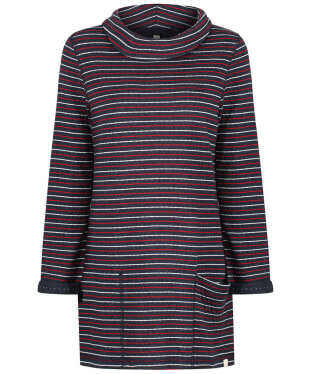 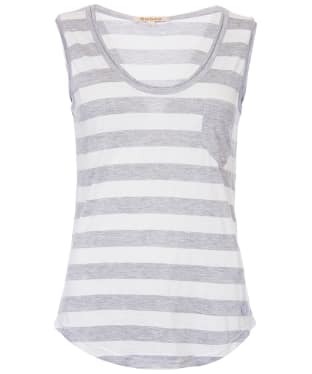 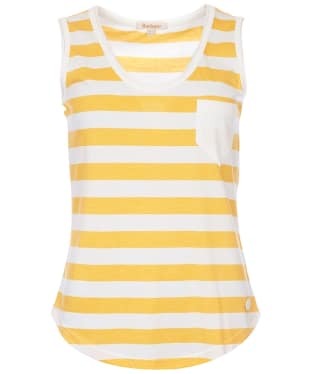 For an added touch of style and wearability this top features a contrast of narrow and wider stripes. 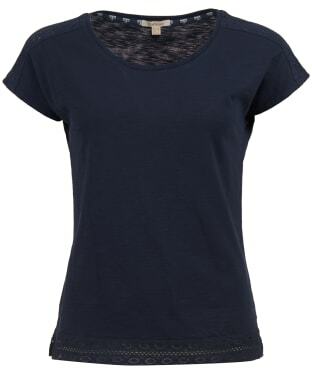 The Women's Barbour Hermit Top is perfect for those casual days this season and beyond, perfect for teaming with your favourite pair of denim jeans. 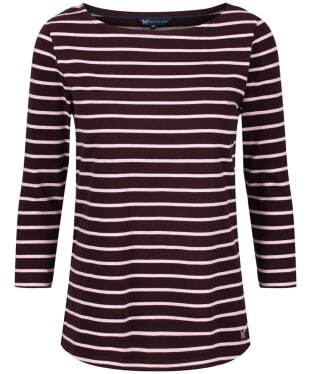 The Barbour Hermit Top boasts a flattering bracelet length sleeved top with wide neckline. 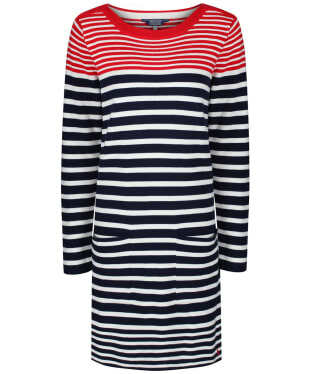 Finished with a stripe pocket to chest and stripe piping to neckline which adds a touch of nautical inspired style you are sure to love! 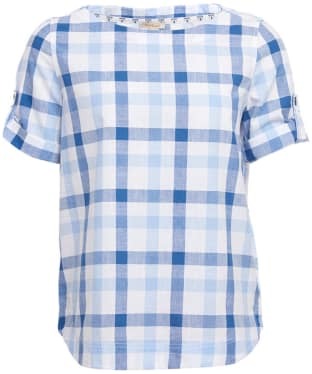 The Barbour Malin Shirt is a feminine twist on a classic checked shirt, with a beautiful round neck, and shorter sleeve which still features that traditional turned back look. 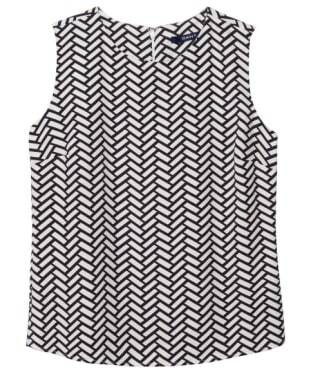 A round hemline keeps the look pretty and casual, while the 100% cotton construction ensures you look and feel fantastic! 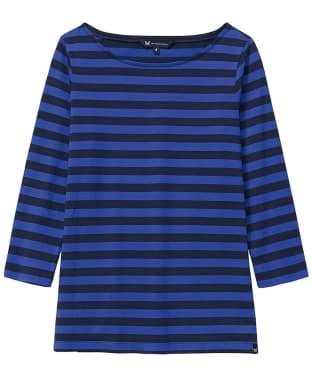 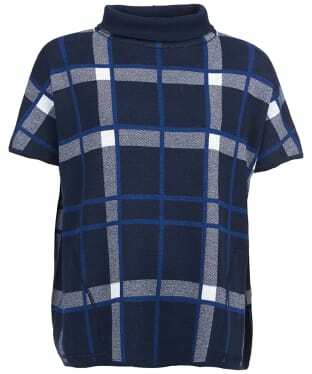 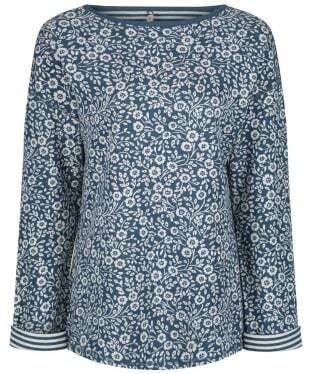 Cut to a subtle a-line in a relaxed fit, this Barbour women's top will flatter all shapes and sizes. 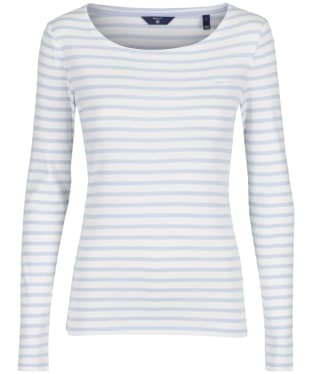 An essential piece for any ladies wardrobe, the Crew Clothing Ultimate Breton top is crafted from 100% cotton, offering a comfortable and stylish piece. 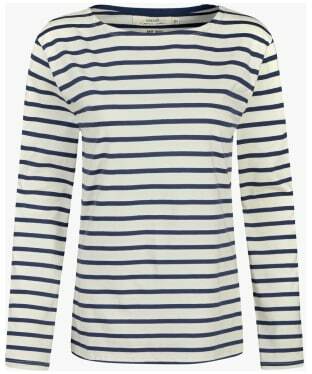 Perfect for the new season, the Ultimate Breton boasts a thicker material when compared to the essential Breton, keeping you nice and warm in the cooler weather. 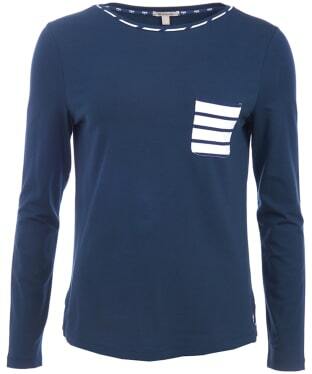 The top is finished with Crew Clothing's signature branding, adding a fashion forward feel.